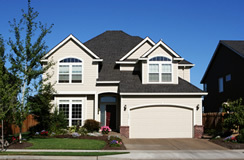 You have the ability to own your own home as you build up equity and fix any potential credit problems. Take your time and learn how to properly care for a house as you move towards your goal of home ownership. Both a portion of your monthly rent and down payment at closing will be credited to your purchase price. In a Rent To Own agreement the purchase price is fixed, giving you the opportunity to make equity gains in the midst of growing real estate markets. Our credit experts can help you build your credit to the point of making a purchase at the end of your lease. The timing for moving into a Rent to Own home can be much shorter than purchasing a home should you choose to exercise your option. Rent To Own gives you the flexibility to walk away from the property at the end of your lease term, should you decide you don’t want to make the purchase. Whether you’ve had late payments, a bankruptcy or simply haven’t had enough time to build up your credit, a Rent To Own home may enable you to build equity and repair credit while renting to own your home. If your buyer should fail to procure a mortgage loan, or waive the purchase option at the maturity of the lease term, you retain the deposit, rent, an all accumulated equity. Rent to own landlords typically collect a rental rate premium in exchange for offering a purchase option. Avoid short-term capital gains with a "fix and flip" strategy by renting to own the property to a tenant, just be sure the lease extends more than a year from your date of purchase. Your tenant has a large personal equity stake in the home you are selling, and as a result will treat your property just like his own. Avoid all real estate commissions by selling your home to your tenant without using an agent. Are Rent to Own Homes a Good Idea? Can You Rent to Own a Home With Bad Credit? How to Rent to Own a Home? Rent to Own Home Laws? Rent to Own Homes With No Down Payment? What is a Rent to Own Home? What is a Rent to Own Lease Option? What is a Rent to Own Lease Purchase? What is a Rent to Own Option Fee?